Your business has systems producing data. You need to get and analyse that data and report it to the right people at the right time so they can act on it. Maybe you also need to scale up your current BI, reduce costs and eliminate system bottlenecks. One thing is sure: Business Intelligence is now essential to company decision-making, it drives every business. 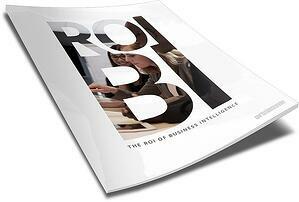 3 Fundamental barriers to BI. BI Wins: Top 8 results we see from great BI. Making your ROI case: Know your audience. 11 BI Goals to consider. If Business Intelligence distribution is the lifeblood of an enterprise, its absence is the equivalent of strangulation. It’s not just about producing the right stuff. It’s about getting that stuff to the right person at the right time.